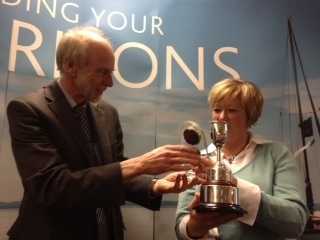 Last night I collected a prize for writing, adventures from our sailing activities. It could bring new opportunities. This, at the same time as having a knee injury, which seems to limit everything. Oh, how the Universe works. I am motivated for writing, at a time when I am recognised. The synchronicity is wonderful. Writing ‘Hurt’ was at times an arduous process, rewarding in many ways, but through the dark days of trying to craft the book it is, it was tough. I’m not sure where this writing is going, but I’m feeling like I want to study as well. Perhaps I will respond to one of the adverts that l see around in the writing press. Perhaps I should just get on with it. I am prone to over think. Sometimes opportunities just present themselves. Should we grab them whilst they are there? Or perhaps just nod in their direction. It seems, to me, that I am being drawn to writing, more than a blog or a sailing journal. It’s just I don’t know what that is. Perhaps that doesn’t matter, perhaps it is just surrendering to the possibility. Perhaps, perhaps, perhaps. Perhaps I’d just better get on with the delicious art of working with words.